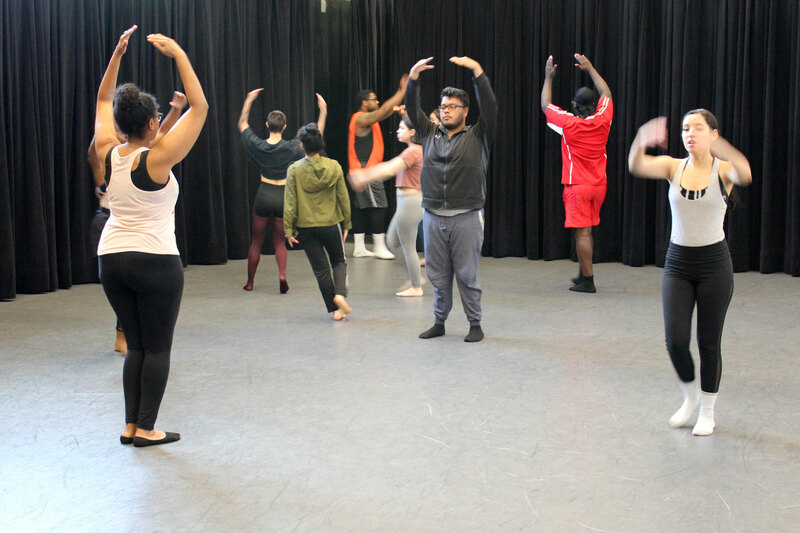 Estrella Mountain Community College (EMCC) Dance Professor Janaea Lyn McAlee is excited for DancEstrella’s upcoming performance of This, That and the Other. The student company presents the cabaret-style production at 3 and 7 p.m. April 26 and 27 at the Performing Arts Center (PAC) on campus at 3000 N. Dysart Road, Avondale. Papillon, meaning butterfly in French, pays homage to Dr. Bryan Tippet, former EMCC President of Learning who died unexpectedly in the spring of 2015. McAlee said the creative diversity of the students’ choreography was the inspiration for the show’s title. 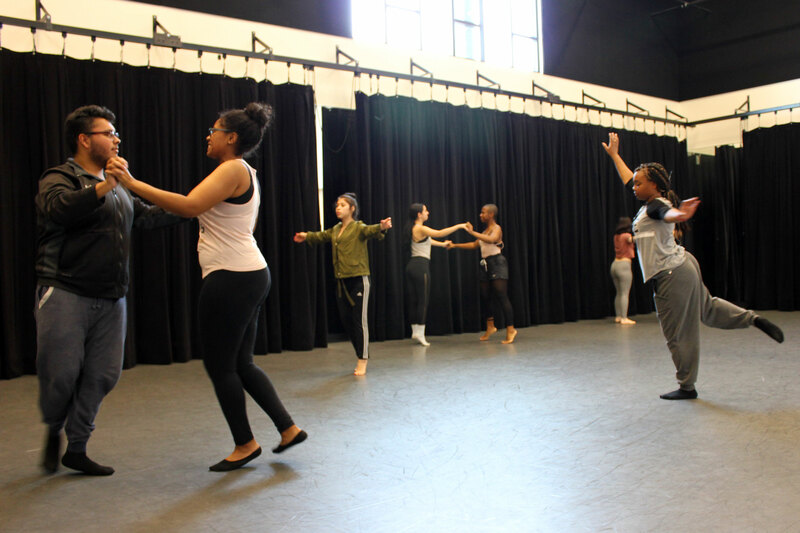 From ballet, modern and contemporary to jazz, old school hip-hop and West African, the show features 11 practicum dances; collaborative choreography by students in performance classes; and group dances by McAlee and Ballet Arizona guest artist Colleen Buckley. Buckley completed a week-long residency in mid-March at EMCC. During that time, she choreographed a new body of work for the students called Subconscious, which will be the finale to the show. “All the dancers are together and they’re supposed to be the thoughts and processes going on in the brain of one person,” Buckley said, explaining that the dancers in the front represent the main thought while the other dancers represent all the subconscious thoughts going through one’s head. Buckley, who is originally from New York, joined Ballet Arizona two years ago after an extremely competitive audition process. This is her first residency and first professional choreography experience. It’s also EMCC’s first time hosting a resident dancer. The collaborative project has been two years in the making. 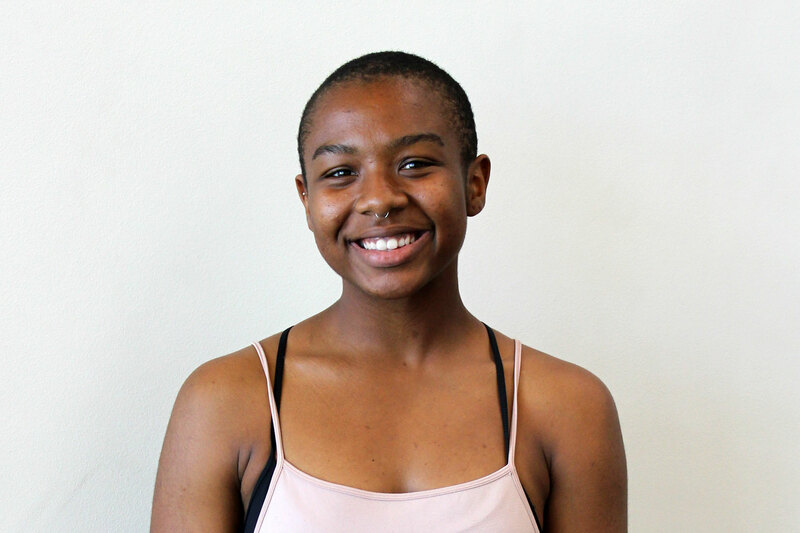 DancEstrella member Kyara Parker will also perform her solo called And I Asked God Why Must I Feel Everything So Deeply? The solo, which was the first piece Parker choreographed herself, was awarded first place Solo Performance and second place Solo Choreography Feb. 16 at the Maricopa Artist of Promise Dance competition. “It was really comforting because everyone perceived it exactly as I wanted them to,” Parker said. The event was a competition but its main purpose was for performers to get feedback from adjudicators. That being said, she was more than pleased when she found out she won the awards. Perhaps made even scarier is the fact that her piece is performed sans music. Parker said she vacillated on whether or not to perform without music, but in the end, silence spoke loudest. Parker has one more semester before she graduates from EMCC. She’s currently looking at schools for choreography and dance. “It is a goal to perform, but my main goal is to be a choreographer,” Parker said. Aside from her solo, Parker can also be seen in several other performances during the show. Admission to This, That and the Other is free and audience members are invited to participate in a brief discussion with dancers at the end of each show.